Sarah Michelle Gellar's Daughter Learns to Ice Skate from Michelle Kwan! 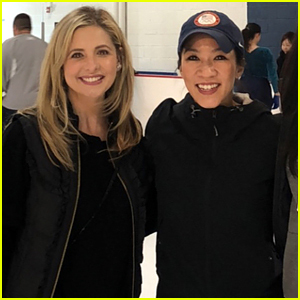 Sarah Michelle Gellar took her daughter Charlotte ice skating on Friday (December 29), but they got the VIP experience thanks to two-time Olympic medalist Michelle Kwan! The 40-year-old actress and her friend Elsa Collins took their daughters to a private lesson with Michelle at East West Ice Palace in Artesia, Calif.
“EPIC DAY!!! When your daughters want to learn to ice skate ⛸ (I mean really learn) who is better (or more qualified ) then the most decorated American skater in history – @michellewkwan. Thank you Michelle for a day, none of us will forget (no seriously my sore body won’t let me) She even taught the adults a few tricks!! !” Sarah captioned the below slideshow on Instagram. Sarah Michelle Gellar took her seven-year-old daughter Charlotte out on a Broadway date! 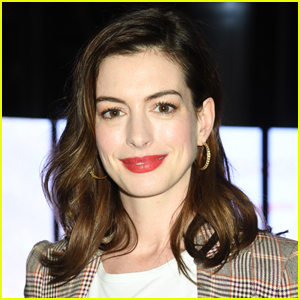 The 39-year-old Buffy the Vampire Slayer actress enjoyed a performance of the hit musical Cats at The Neil Simon Theatre on Sunday (February 5) in New York City. Sarah and Charlotte snapped a fun pic backstage with Mamie Parris (as Grizabella), Ricky Ubeda (as Mr. Mistoffeles), Tyler Hanes (as Rum Tum Tugger), and a friend of Charlotte‘s. “This is my little kitty, watching the crazy talented cast of @catsbroadway take their curtain. #memory,” Sarah captioned the Instagram photo of Charlotte below. Also pictured: Sarah holding on to her coffee drink while exiting The View studios on Monday (February 6) in New York City. Sarah Michelle Gellar Takes Her Kids to Meet Santa! Sarah Michelle Gellar poses for a photo with Santa Claus while attending the 2015 Santa’s Secret Workshop Benefiting L.A. Family Housing on Saturday (December 5) at Andaz Hotel in Los Angeles. The 38-year-old actress brought her kids Charlotte, 6, and Rocky, 3, to meet Santa at the event! “We got to see the “big guy” today (well except for #FPJ who was home 😷) at #ssw15 but don’t worry #FPJ we passed along your message to #Santa 🎁,” Sarah captioned the below photo on Instagram. Kids had tons of fun checking out the Micro Kickboard scooters, Diono carseats, Orbit strollers, Ergo baby carriers and Joovy and Munchkin baby products! 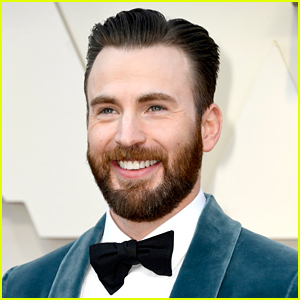 Other celebs included Haylie Duff (with husband Matt Rosenberg and daughter Ryan), New Girl‘s Max Greenfield with his family, and a pregnant Edy Ganem. Sarah Michelle Gellar keeps it low key in a fedora and sunglasses as she exits a Starbucks on Thursday afternoon (July 23) in Los Angeles. Earlier this year, the 38-year-old actress participated in a Princess Rap Battle where she channeled her inner Cinderella. It looks like her five-year-old daughter Charlotte is now following in her mom’s footsteps in a cute video that Sarah posted to her Instagram. “Clearly I am not the only rapping princess in our house #PrincessRapBattle #PrincessRapBattleJunior #Aladdin #FunkyDiva,” she captioned the video. Check out Charlotte adorably rap below. 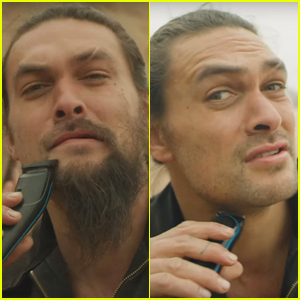 Hopefully we’ll get to see the full length version soon! Sarah Michelle Gellar‘s latest Instagram photo is making us go “aw” thanks to the sweet moment between her kids Rocky and Charlotte. “#FridayFunDay So this is how I found my kids this morning. Charlotte decided to “help” me by getting Rocky up and apparently taking him on #Safari #WildAnimals #Giraffe,” the 38-year-old actress captioned the pic. Earlier that same week, Sarah spent the day with her kids and husband Freddie Prinze Jr., for Mother’s Day. Sarah Michelle Gellar: My Thoughts & Prayers to Philip Seymour Hoffman's Family! Sarah Michelle Gellar takes some pics on her camera phone while holding hands with her cute daughter Charlotte outside a ballet class on Saturday (February 1) Sherman Oaks, Calif.
“It is always sad to lose someone, esp too soon. Addiction is a heartbreaking disease. My thoughts and prayers to his Family. #ripPSH,” the 36-year-old actress tweeted after hearing about Philip Seymour Hoffman‘s sudden death.